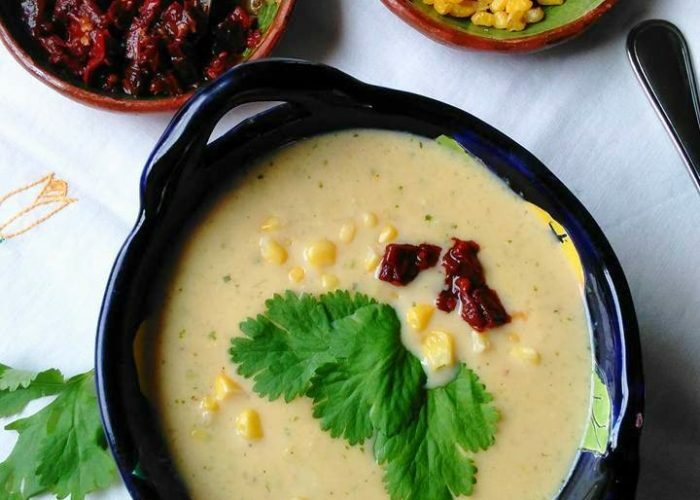 This delicious crema de elote, uses smoky chipotle, fresh cilantro and sweet corn! An amazing combo that will keep you warm during a chilly day. 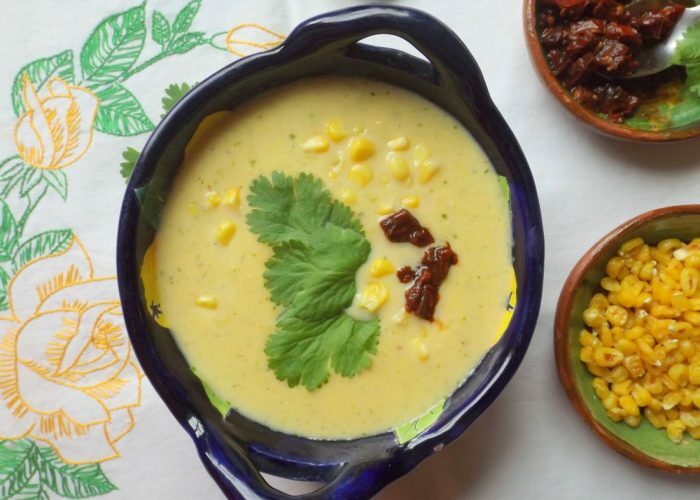 During winter's cold months, it's nice to enjoy a big bowl of Crema de Elote (cream of corn soup). Just a few minutes to sauté some aromatics and this easy and fresh crema de elote is ready to serve. 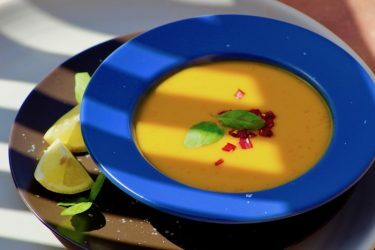 I have prepared various versions of this tasty corn soup and each comes out unique and delicious. For this recipe, we keep it light by whisking in some Greek-style yogurt. Or you can whisk in some traditional Mexican crema with a garnish of cotija cheese on top as an extra special treat. 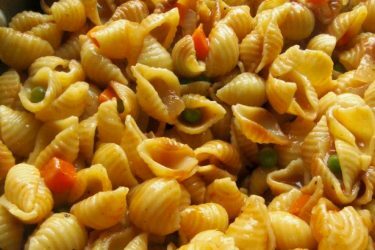 Enjoying the wonders of corn has never been easier with this easy recipe. In a deep skillet, add oil and butter. Heat to medium. After a minute, add celery, onion, garlic and cilantro. Season lightly with salt and pepper. Sauté for 6-8 minutes. While the vegetables sauté, transfer the milk, broth and chicken bouillon to a sauce pan and heat to medium/low. After 8 minutes, add 4 cups of corn to the skillet with onions. Reserve remaining corn for garnish. Re-season with a little salt and pepper. Cook just until corn is warm and softened. Transfer all ingredients from the skillet with corn to the blender. Add 1 to 1½ cups of the warm milk/broth liquid to the blender. Cover tightly and blend on high until smooth. Pour blended corn back into the skillet, along with remaining milk and broth from sauce pan. Heat to medium just until it begins to form bubbles on the edge of pan. Whisk in yogurt until smooth. Season with pepper and salt, if needed. Reduce heat and continue cooking for 1 more minute. Garnish soup with minced chipotle, cilantro, corn and cheese. When using fresh corn kernals in a soup, do not discard the cob. 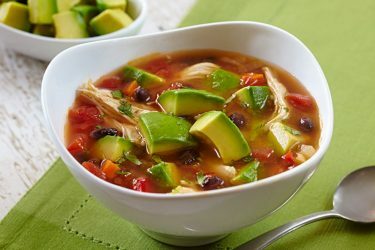 Place the cobs in the broth while the soup simmers to add even more flavor. Discard cobs before serving.